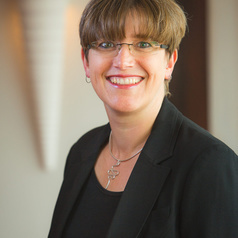 Dr Geertje van Keulen is Associate Professor in the Institute of Life Science in the Swansea University Medical School. She is an interdisciplinary microbiologist focusing on the microbiology of natural antibiosis and resistance to antibiotics and metals, microbial adaptation to drought and bioengineering of water repellency of manmade and natural materials. Her research team works in highly interdisciplinary collaborative projects with soil scientists, materials engineers, metallurgists, hydrologists, nanotechnologists and modellers funded by NERC, BBSRC, EPSRC and the Centre for Defence Enterprise. Geertje is the lead-organiser of Soapbox Science® Swansea, an annual public street science event showcasing the exciting research of women in STEM subjects. Geertje tweets about her and other science interests from @DrGvanK.